How can transportation from Richmond, Virginia, to Baltimore, Maryland, be improved? A business-backed "Blueprint for Regional Mobility" released Monday is offering solutions for the region. WASHINGTON — How can transportation from Richmond, Virginia, to Baltimore be improved? A business-backed “Blueprint for Regional Mobility” released Monday is offering solutions for the region. The report includes continuing current plans for better transportation and launching some other ideas, such as charging drivers for entering the most congested downtown areas in D.C. and Northern Virginia. Though many ideas are already in progress or even nearing action if funding is available, the report could prove to be important since elected leaders across the D.C. region tend to be most responsive to calls for funding and other action from influential business leaders, such as those in the Greater Washington Partnership. A key effort would be to push for more funding, including more federal funding, to advance projects that have been reviewed but have yet to start construction, which includes bridges, tunnels, upgrades of train stations and other planned projects, such as toll lanes around Maryland’s side of the Capital Beltway and Interstate 270. 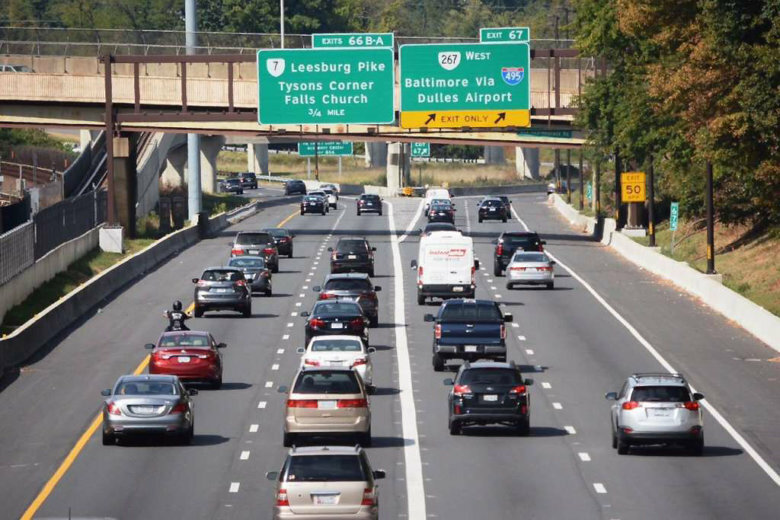 “The capital region is more connected than you might believe,” said Joe McAndrew, director of transportation policy for the Greater Washington Partnership. Businesses in the region need workers to be able to get to and from their jobs smoothly in order to hire people and keep them from moving away out of frustration at commuting delays, McAndrew said. The report calls for billions of dollars in projects to improve and connect MARC, Virginia Railway Express and other commuter rail service and stations; expanded toll lanes across the region; better and safer bike and walking trails; improved bus service; more commuter benefits through employers; more development around rail and bus stops; better traffic signal coordination; and more federal transportation funding for the region. It also raises the idea of congestion pricing, which essentially charges vehicles a toll to discourage driving into the busiest areas. The report only calls for that pricing to be looked at in D.C. and parts of Arlington, such as the Pentagon, Rosslyn, Pentagon City and Crystal City. “Congestion is ultimately worse at areas where a lot of people are trying to get to, including our central business districts in Washington, D.C., and in Northern Virginia,” McAndrew said. “We’re not necessarily trying to say it should happen tomorrow; we’re calling for an investigation to be done because it hasn’t been done in this region,” he added. London and Stockholm are among world capitals that have implemented the pricing system, with the money used to support buses and other transportation options. New York is considering a similar plan. The business group would also like a more consolidated regional transportation system. “Today, we’ve got a pretty chaotic transportation system,” McAndrew said. The Metropolitan Washington Council of Governments’ Transportation Planning Board, a key consolidated regional body, just approved its own long-range plan for the region, though that included the projects already expected to be built and goals to push the region in the right direction for the future. “We look forward to helping our elected officials and government leaders work with the partnership’s network of CEOs to advance these shared priorities and build on recent momentum, like this year’s landmark Metro funding agreement and Amazon’s selection of our region for part of its second headquarters,” said Chuck Bean, the Council of Governments executive director, in a statement.